When we arrived in The Cinque Terre on September 14, we knew we would be there for 2-1/2 weeks, but we didn’t have any plans beyond October 1. After a lot of discussion about our budget and the “real world,” we decided that it was time to head back to the U.S. (Sniff, sniff.) We weren’t ready to fly back immediately, though, and we also needed to change our plane tickets. Was there any place we wanted to go spend some time as a last hurrah? 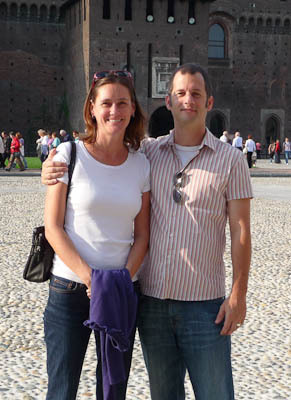 Well, 2 years ago we travelled around northern Italy and hit most of our “must-see” places. 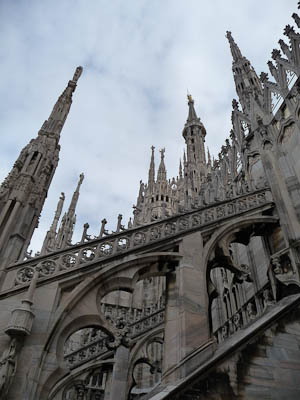 However, we hadn’t been to Milan or the lakes to the north. Bingo! 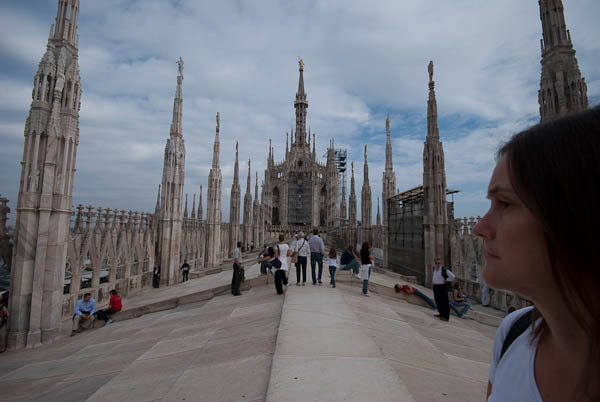 Now we are in Milan for 2 weeks, sightseeing and shopping, and then we are headed to Lake Como for 3 nights before saying good-bye to Europe. 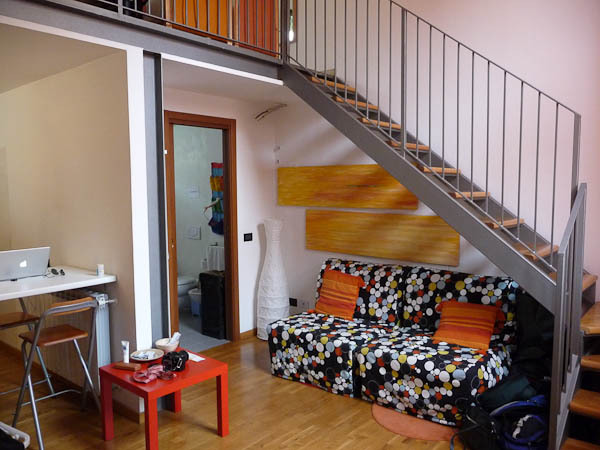 We are staying in a loft in the northeast part of Milan. 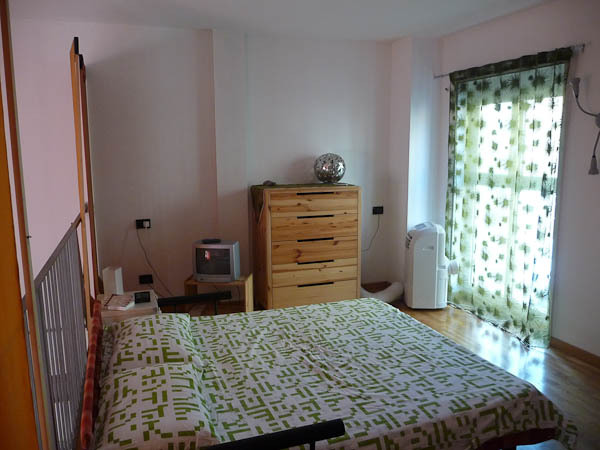 We looked into staying closer to the city center, but we are saving a few hundred euros in rent by being a bit removed. 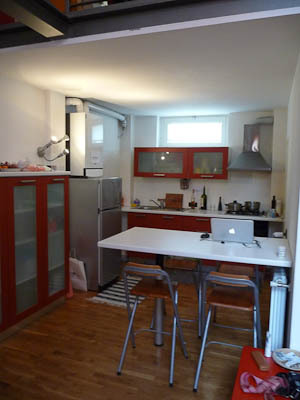 We had a great experience in Lisbon when we stayed in a real neighborhood instead of being in the tourist area. Our current neighborhood, though, is not that great, and we would probably stay closer to the city center in the future. 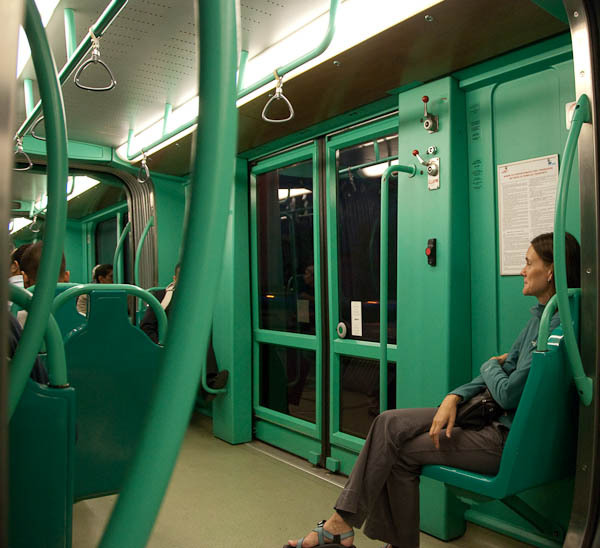 Milan does have an excellent public transportation system, so we have been using trams and the subway to get around the city. 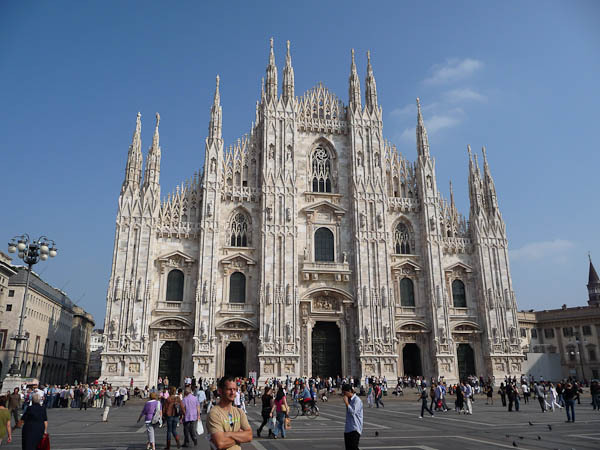 The Duomo is the main cathedral in Milan. 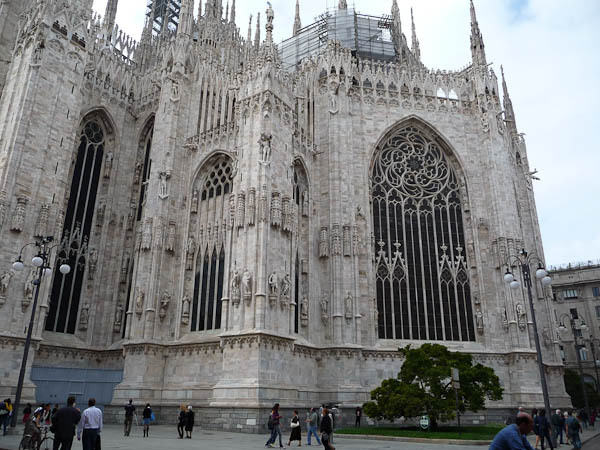 It is also the largest, and possibly the most ornate, Gothic cathedral in the world. 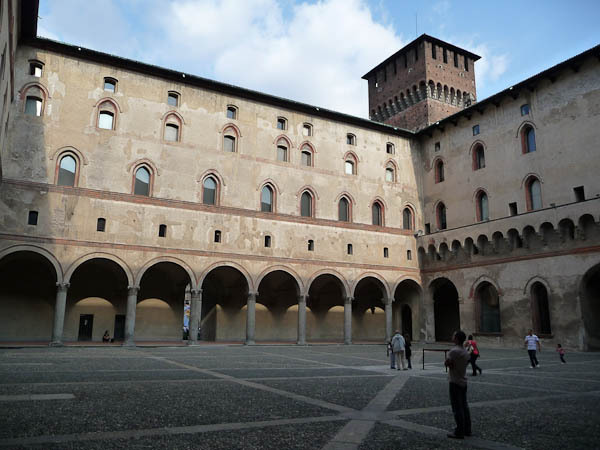 Construction started in 1386 and was completed in 1813. It is made of a beautiful, white marble that glows against the sunny, blue sky. The large plaza in front is alive with people and activity at all hours of the day and night. The interior is pretty dark, so I didn’t bother to take photos, but its size inside is just as impressive as the exterior. Hanging above the chancel inside is a large crucifix which contains a very special holy relic, a nail from Christ’s cross. One of the neat things about this cathedral is that you can go up to the top and walk around the roof - not just a little path around the cupola, but around the whole roof - getting up close and personal with the ornate decoration. 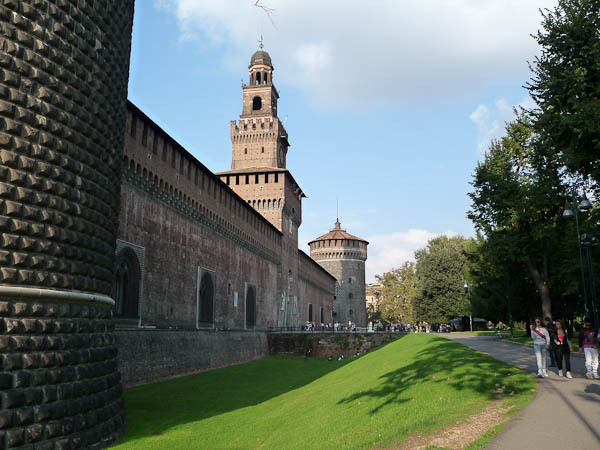 The Castello Sforzesco was built by the Visconti family and then expanded by the Sforza family. 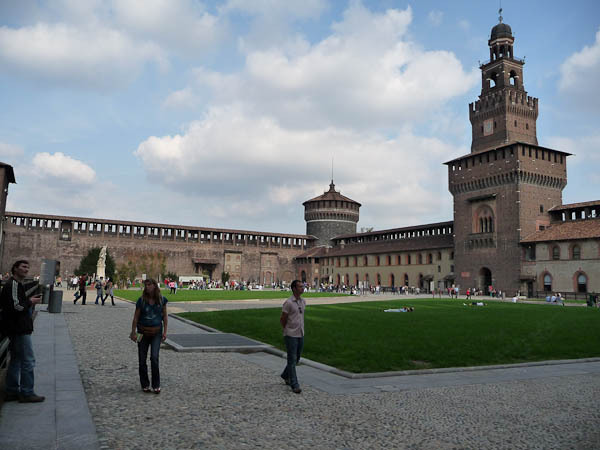 (These families ruled over Milan during the 14th and 15th centuries.) 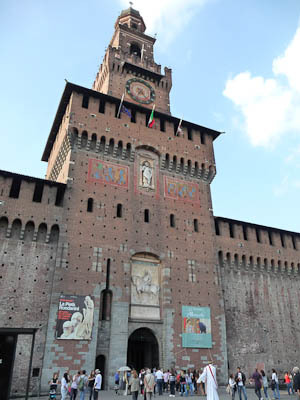 Under Lodovico Sforza, the castle was home to one of the most reknowned courts in Europe during the Renaissance, and court artists included Leonardo da Vinci as well as the architect Bramante. Today the castle grounds are free and open to the public, and the buildings house city museums. Here we are in the large courtyard - is it the historical castle, or is it my new blue cardigan sweater in my hands which is making me smile? 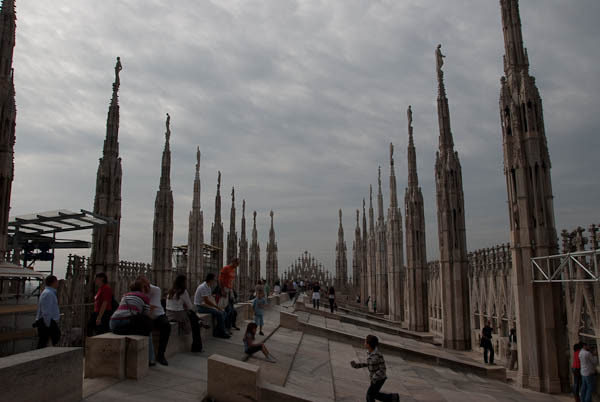 The Duomo makes Gaudi look plain! I was told once that by Renaissance consideration, only God could make perfection. Hence, the mis-aligned and asymetric windows overlooking the castle's "another courtyard."